Bonn, Germany – The growing vulnerability of small island states that continue to face the impacts of climate change must be at the forefront of discussions when discussing mitigation and adaptation measures. 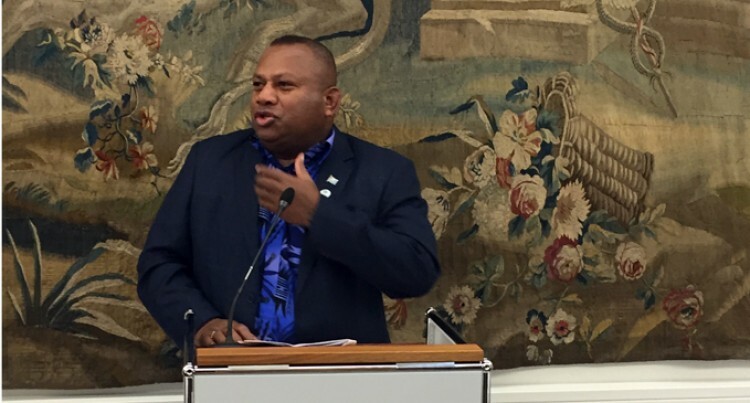 This was highlighted by Fiji’s Climate Champion and Minister for Rural and Maritime Development, Inia Seruiratu, when he addressed a High-Level Dinner in Bonn, Germany, where he provided a general update on the Talanoa Dialogue process. Hosted by Bonn’s mayor, Ashok Sridharan, the high-level event was held on the occasion of the International Council for Local Environmental Initiatives (ICLEI) Resilient Cities Congress preceding the Climate Talks. Also present at the event was the United Nations Framework Convention on Climate Change executive secretary Patricia Espinosa and the State Secretary of the German Federal Ministry for the Environment, Nature Conservation, Building and Nuclear Safety, Jochen Flasbarth. The event was an opportunity for the Climate Champion to remind participants and guests on the broad cross-cutting implications of climate change impacts on cities and towns in the lead up to the Talanoa Dialogue process. “As you are aware, the talanoa dialogue sets out to engage with all stakeholders – both Parties and non-Parties,” Mr Seruiratu said. Addressing senior German government officials, mayors, senior UN officials, scientists, stakeholders and UNFCCC negotiators, Mr Seruiratu reiterated Fiji’s COP23 Presidency commitment to keep global temperatures well below 2 degrees Celsius above the pre-industrial level and pursue efforts to limit warming to 1.5 degrees. “We should take all efforts to sharply bend the alarming temperature trajectory we are currently on. And we can only do this if we act now. Mr Seruiratu is in Bonn for the Bonn Climate Change Conference known more formally as the 48th Sessions of the UNFCCC Subsidiary Bodies, which will take place from April 30 to May 10 in Bonn, Germany. Here, parties and non-party stakeholders will use the Talanoa dialogue process to answer the questions Where are we? Where do we want to go? How do we get there? – in their overall submissions.